The pattern is by Michael Powell. Here’s his Webpage so you can see some of his wonderful designs. It’s the first of his patterns I’ve stitched before & it was something that definitely tested my patience! In the design the threads at times called for two different colours stitched at the same time. Very fussy to do but I was really pleased by the final affect! I’m hoping to stitch some more of his patterns in the future! 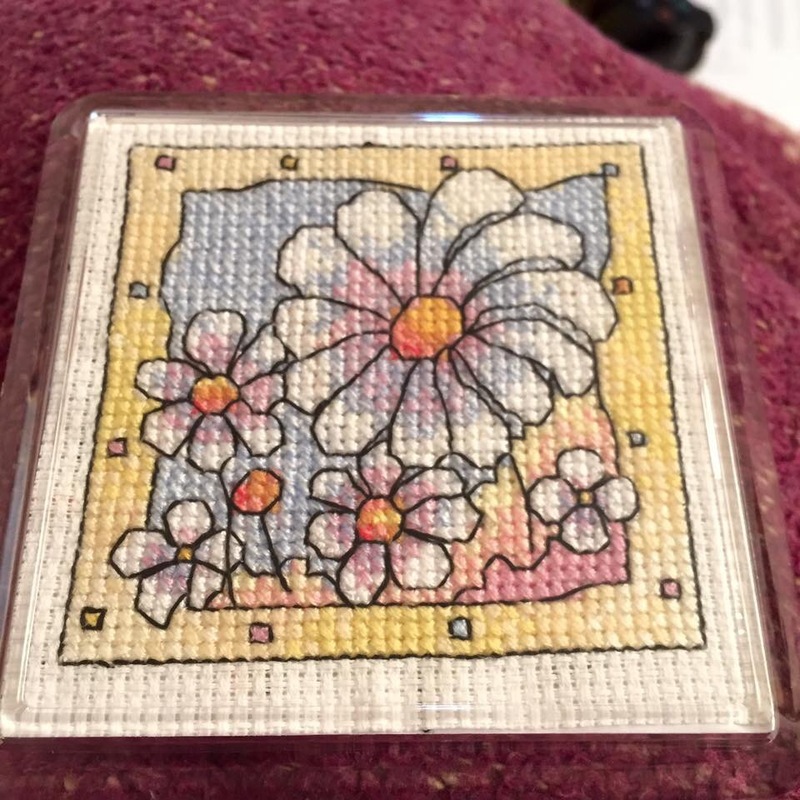 Have any of you taken part in some fun cross stitch exchanges before? Let me know about your experience. I hope you’re all well… I’m slowly on the mend 🙂 Thank you for all your well wishes! < #33 Hot off the press! oh wow this is a lovely coaster! I’ve not seen his designs before but I’ll be checking them out. I know how much of a pain stitching with two colours is but it really adds to the effect! I’ve not participated in any exchanges but Id really like to. I see a lot of them on the cross stitch forum Im in! Yeah it was one of those patterns that until you finish it you don’t realise how good it’ll look! I would recommend taking part in an exchange it’s something different. I’m working on a Christmas tree decoration now. Very nice! The blended threads give the design a look almost like watercolors.